Set over several years, Heidi Brandenburg Sierralta and Mathew Orzel’s award winning ‘When Two Worlds Collide’ chronologically documents the build up and disastrous implications of when the will of the greedy few in power is confronted with the will of the people, determined to protect the earth. 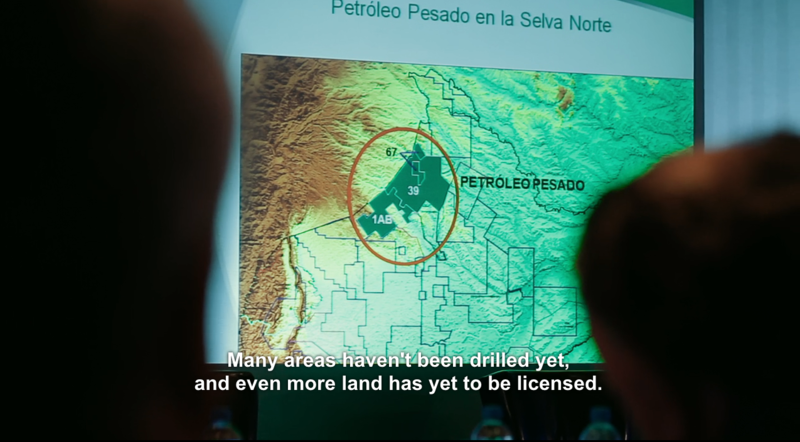 In 2009, Peruvian president, Alan Garcia, and his government set out to halt democratic process, incite division and proceed to enforce unconstitutional laws, in order to sell off tribal land and resources in the Amazon rainforest. 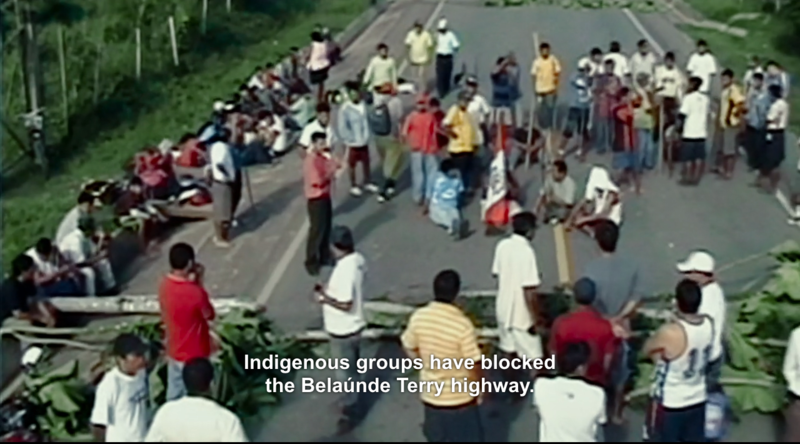 Then, as the world looked on, Garcia ordered the Peruvian police and military personnel to break up the subsequent protests which had blocked main roads to the profitable Bagua region. This resulted in the deaths dozens of indigenous Peruvians and government troops, and put a spotlight on the destruction of the Amazon in exchange for wealth. The film is dedicated to victims of Bagua. 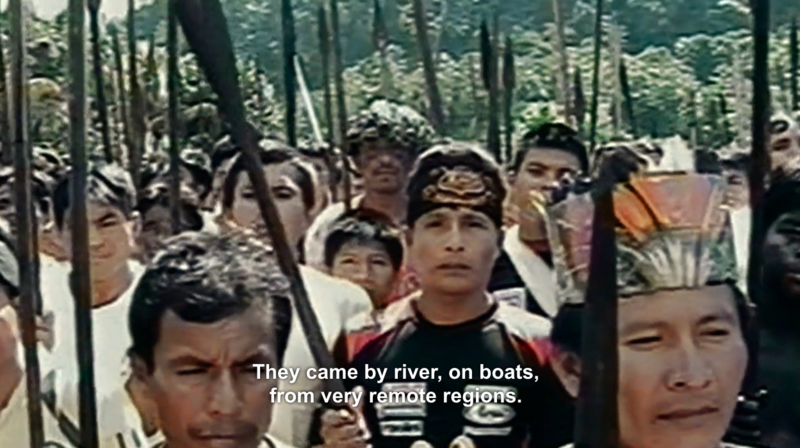 The film focuses around Pizango, a strong advocate for indigenous Amazonian self-determination who leads the fight for the rights of tribal lands, protected by UN laws. Pizango also was the chairman of the group AIDESEP (Association for the Development of the Peruvian Rainforest), following his father’s mantra that the Earth is borrowed, so should be cared for even more by its inhabitants, and to be handed on to future generations in even better condition. Therefore, for them, their land can never be sold or negotiated with. Something which Garcia’s government did not understand. 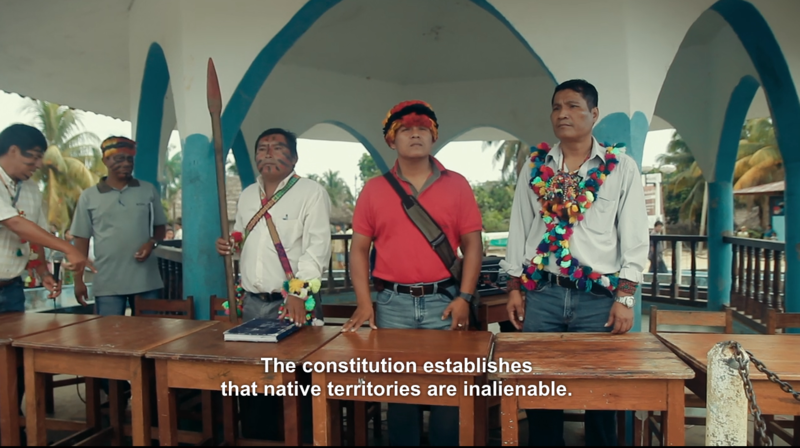 From the start Pizango confronts lawmakers who aim to interfere with constitutionally protected lands without consulting the indigenous population in order to sell off their naturally rich territories. 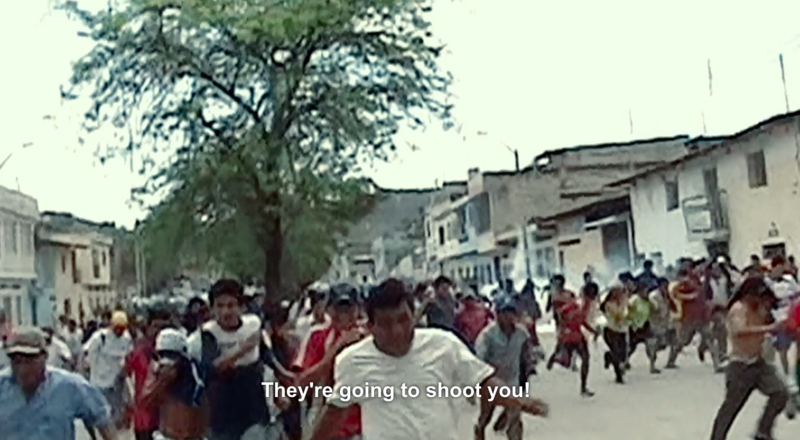 Moving from macro to micro perspectives directors Brandenburg and Orzel use an impressive amount of interviews with key players and local people, as well as raw and media footage of the time, drawing the viewer into the eye of the storm. 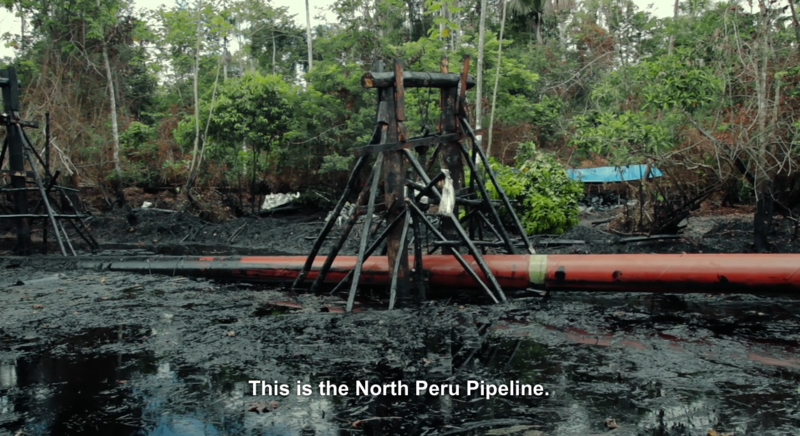 The film seemingly strives to present a balanced and riveting account of the events that followed; the indigenous people of Peru protesting and protecting their native lands from those with an interest in privatising and selling it off without their consent to multinational corporations and conglomerates that would seek to harvest its lumber, oil, gas and other precious natural resources. 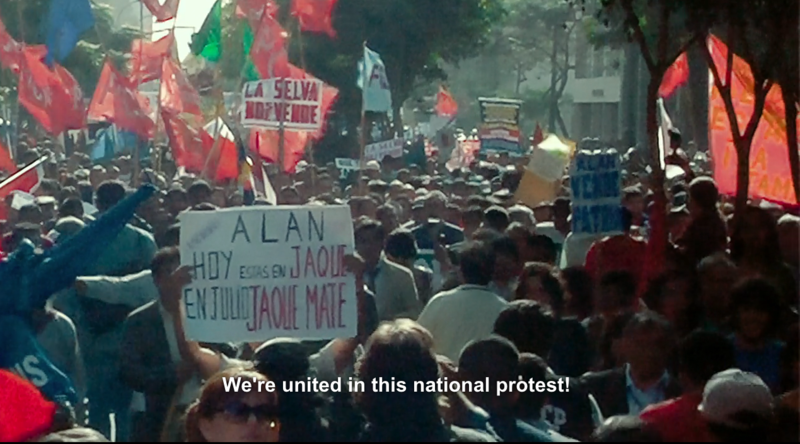 The tension reaches its pinnacle in the capital city of Lima, in June 2009, as the demands by the native community for the unconstitutional laws be written anew are rejected without debate. The audience, feeling exasperated and angry on their behalf and can only watch on as the footage moves from months of peaceful protest by locals, blocking off roads and facilities, to shocking videos by locals and media crews of the bloody, violent clashes with the police in Bugua that resulted in multiple deaths on both sides. 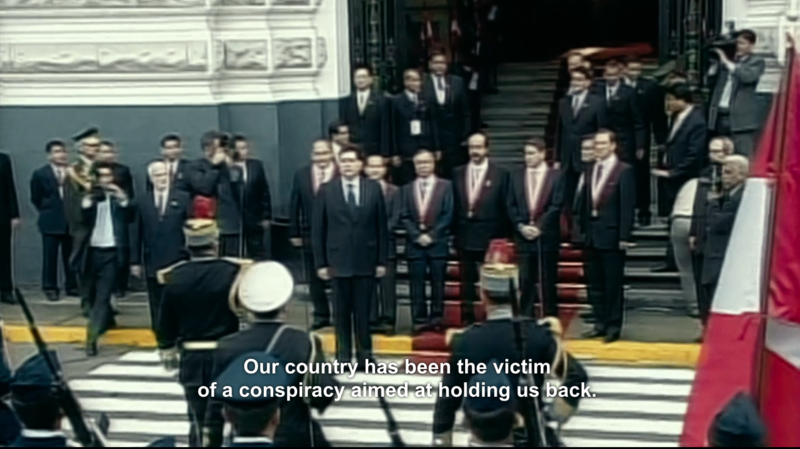 This tragedy ultimately leads to the government caving, the laws being somewhat revoked, Garcia briefly removing himself from the political scene, and Pizango being forced into brief exile in Nicaragua after being accused of inciting the violence. 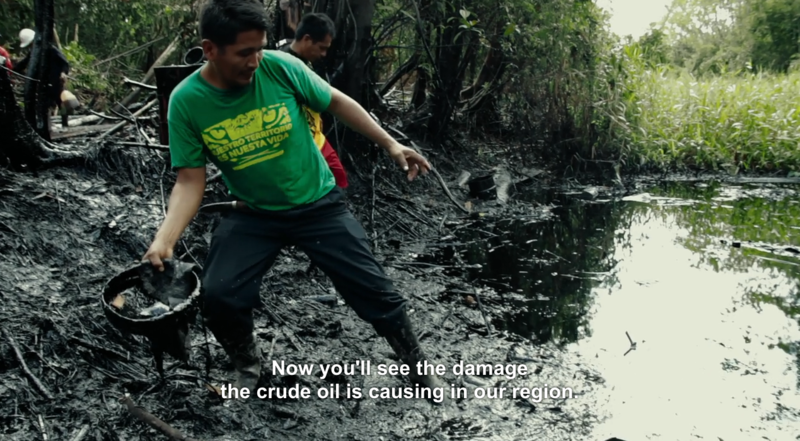 This documentary could have ended labeling this a success for the indigenous people and the environment. 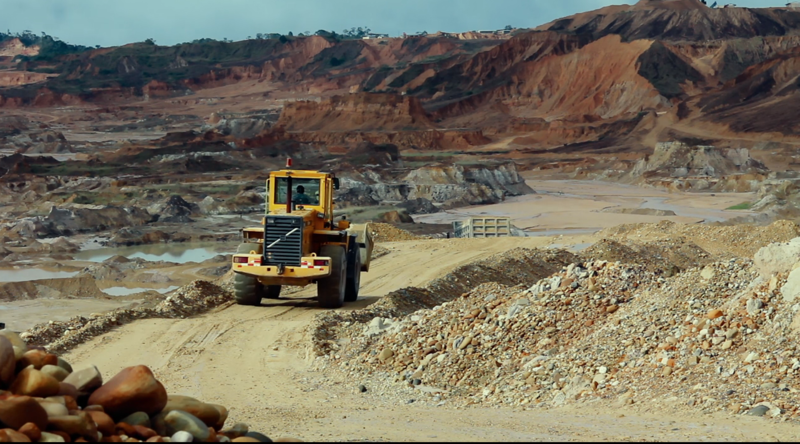 Instead it briefly shows the cycle continuing with the politicians continuing to sell off mining rights and land in the Amazon, which would undeniably in turn continue to affect the rainforest and its inhabitants. Despite this however, Brandenburg and Orzel clearly and effectively use this event as a warning to show what can result when a country choses profit over its land and its people, when the rights of minorities are exploited and when the media is controlled by government and not subjected to checks and balances. A true strength of the “When Two Worlds Collide” is that it captures the dichotomy that could have arisen between the Peruvian people due to the media coverage and the government’s response. 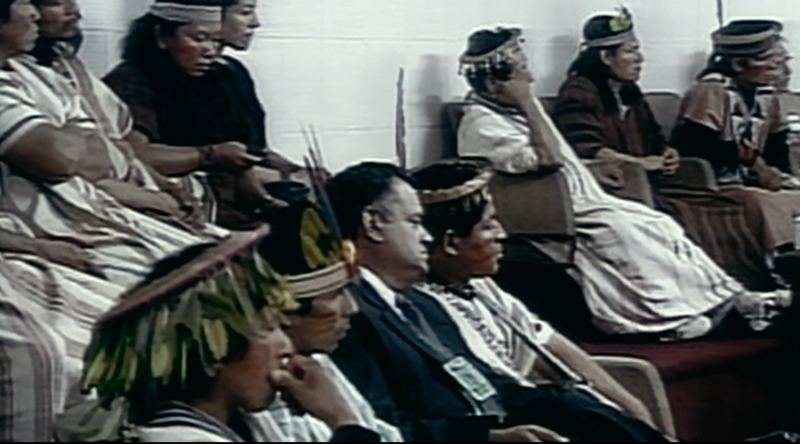 The film shows the contrast between the city sprawl with its modern developments and the natives dwellings in the amazon, between Alberto and company in traditional dress acting as the voice of the indigenous people in the government buildings of Lima and the politicians in suit and tie, and the rhetoric of those in power labelling natives as ‘savages’ and ‘barbarians’ who intend on pulling Peru back into the dark ages. Nevertheless, it appears that the attempt by some to create to ‘othering’ of a people, the ‘us versus them’, is in vain as Pizango proclaims ‘We are indigenous, but we are also Peruvians”. This sentiment is bolstered by footage of a policeman’s widow and an indigenous man’s widow whose partners were murdered in the subsequent violence and how they hold no malice towards their fellow Peruvians, only peace and unity. Peru’s defiance of this ‘othering’ is definitely something positive which an audience worldwide can take away. However! I truly do believe that bottom-up, grassroots organisations can have a positive impact, no matter how small, and that laws and politicians will soon aim to protect the environment over/as well as the economy. So, I have sought out several nonprofits that are leading the way in protecting those beautiful trees and the indigenous population of the Amazon, and also some good news articles. If you wish to counteract these negative thoughts and send out some good vibrations, help and donations to the South American rainforest, check out the links below! ‘Keep it local’ approach more effective than government schemes at protecting rainforest. Read here. Peru moves to create huge new indigenous reserves in Amazon. Read here. The Amazon Scientific Research Institute of Colombia (Sinchi) is a non-profit, focusing on the preservation of indigenous culture and upholding the UN’s declaration on the rights of Indigenous Peoples (UNDRIP). 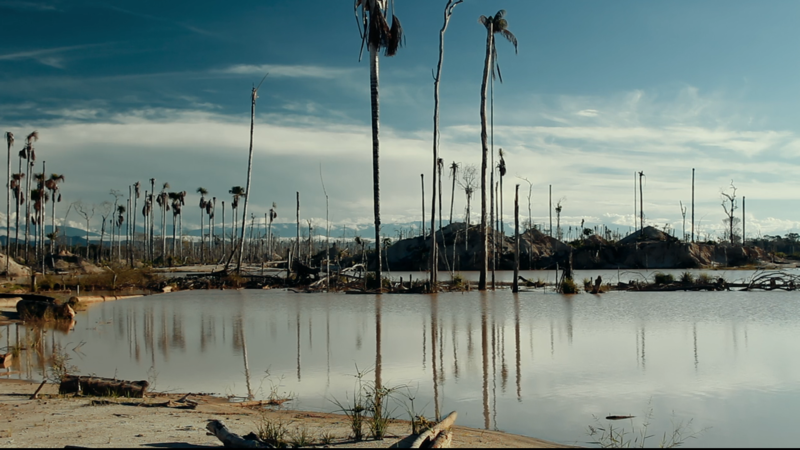 “Sinchi has convinced 550 families in Guaviare and 400 in neighbouring Caquetá to reforest parts of their land in the past 10 years.” You can read some of the post-deforestation efforts of Sinchi here. 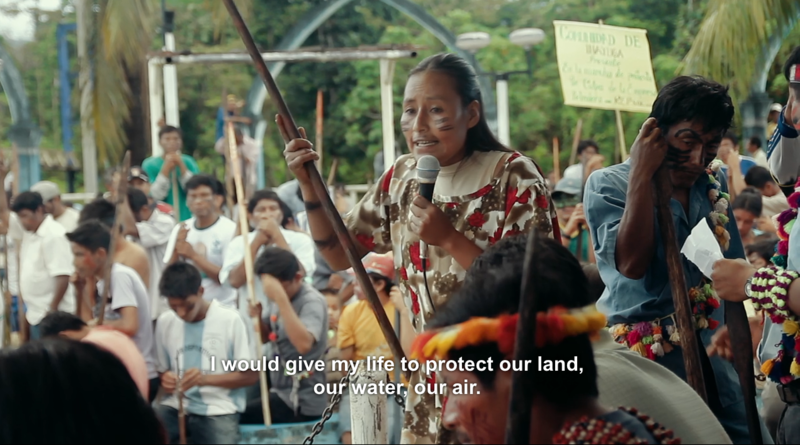 Amazon Watch is a nonprofit that brings together indigenous groups in the Amazon Basin and environmental organizations to campaign for their human rights and accountability of external companies and corporations aiming to develop and profit off the rainforest, and to preserve the ecosystem of the rainforest. Amazon Aid uses multimedia projects and the work of artists, documentaries and music to spread awareness about preserving the rainforest. 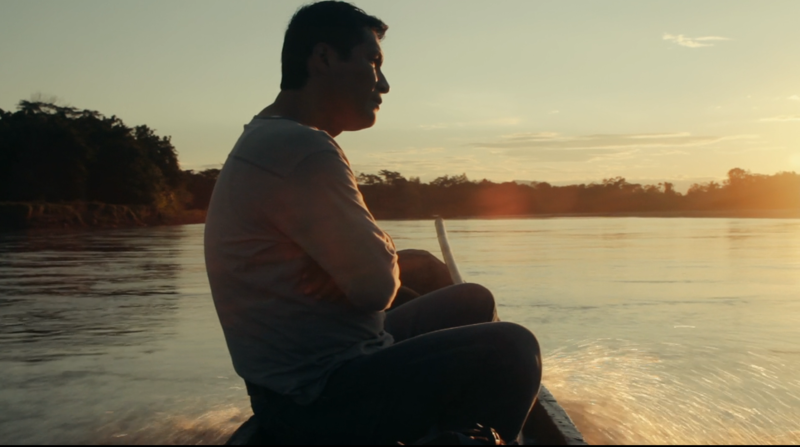 By collaborating with scientists, artists, NGOS and governments AAF distributes accurate information and aims to develop protective and proactive legislation for the Amazon. 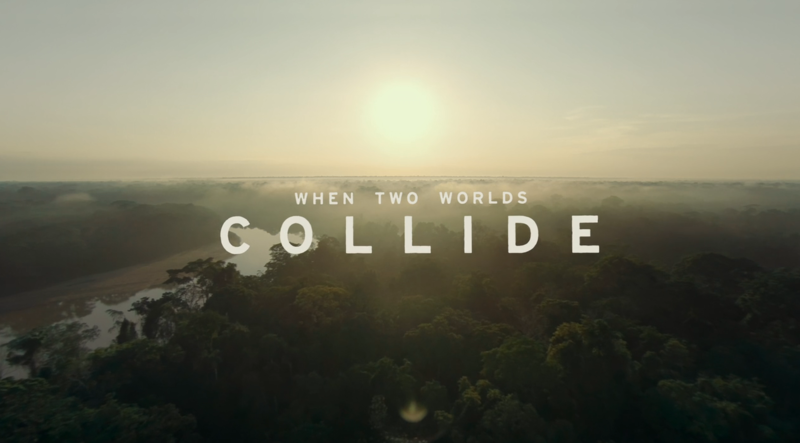 ‘When Two Worlds Collide’ is co-directed by Heidi Brandenburg & Mathew Orzel. 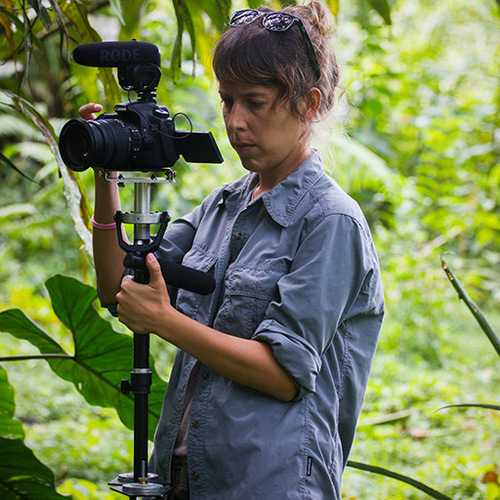 Heidi Brandenburg was raised in Peru and Germany and she co-founded Yachaywasi Films. She is a creative storyteller and cinematographer that strives to move beyond stereotypes towards insightful portrayals when making character documentaries. 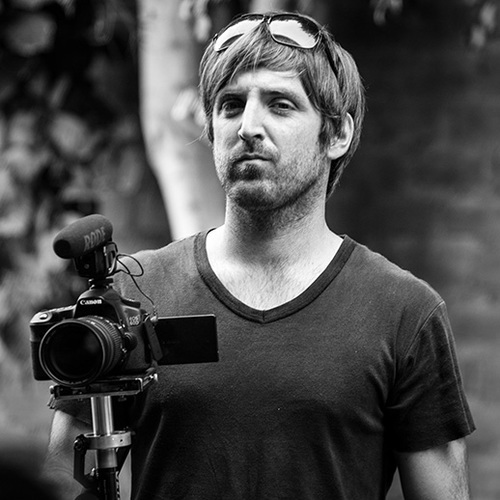 Mathew Orzel is a documentary producer and visual artist who through his strong commitment to documentary journalism and films that combine social action campaigns addresses social and environmental issues with the ambition to create change.